Many months ago I was contacted by Gettysburg Flag Works offering us a boat flag. Flags and boats kind of go hand in hand (they are still used to communicate messages from vessel to vessel) and this fine company was offering us one of our choice. Unfortunately, we're already equipped with an American flag and all the signal and courtesy flags we'll ever need, so we weren't looking to add to our collection. I was just about to send a gracious "Thanks, but no thanks" email when an idea struck me. What about a custom flag? I poked around on the website and sure enough, they do make custom boat flags so I asked if they'd be willing to give us a 'one of a kind' in lieu of a pre-existing flag and they agreed. Super! Awesome! But what, exactly, would our flag be? Hmm.... We don't really have a logo, and I wasn't interested in flag that boasted a phrase or a giant margarita glass when it hit me: "What about a 'baby on board' flag?" I mean, people hang 'baby on board' signs in their cars, why not have one for a boat? I got to work designing something in my head. I had the vision of a baby face in a porthole and I bought the vectors to do it - but I quickly realized I lacked the design skills to create something of quality. So I resorted to my trusty Facebook fan base to see if we had any graphic designers in our midst who were willing to do pro-bono work and, sure enough, we did. Really, really talented ones too! We had so many wonderful entrants offer up designs but unfortunately, I could only choose one. Enter: the incredibly talented Jamie Pullar (seriously, if you have design needs, contact her: www.jamiepullar.com) she. is. awesome. One of the earlier designs which we tweaked. 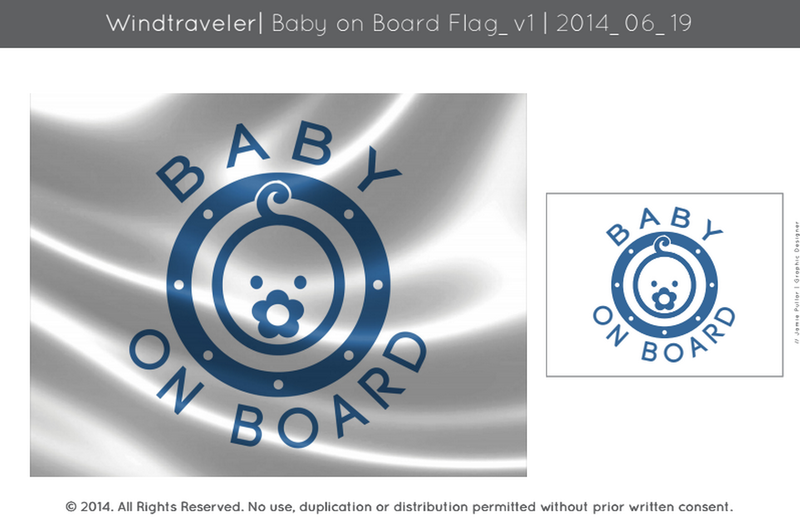 After emailing back and forth about what I was looking for and tweaking some of her early samples, we came up with what I think is the perfect "baby on board" flag. Jamie is the real deal and I feel so lucky to have found her as I am definitely going to be utilizing her talents for future projects. She works fast, understands a vision, and delivers professional results. Once we decided on the design, she sent the artwork over to the folks at Gettysburg Flagworks as per their requirements, and a couple of weeks later our (awesome) flag arrived. It turned out better than I could have ever imagined. This flag is a high-quality item and not your run of the mill, flimsy mail-order burgee. It's double-sided, measures 12 x 18 and made of heavy-duty nylon. The material is thick and strong, definitely meant to withstand the marine environment, and stand up to the wind. The stitching is super tough and durable. The print is crisp, sharp and clear. It looks fan-freaking-tastic. We love it. Whats even better? It's a great company. They were friendly, responsive and professional. I worked directly with Mike, the owner and CEO, and he was great. Thank you, Mike! 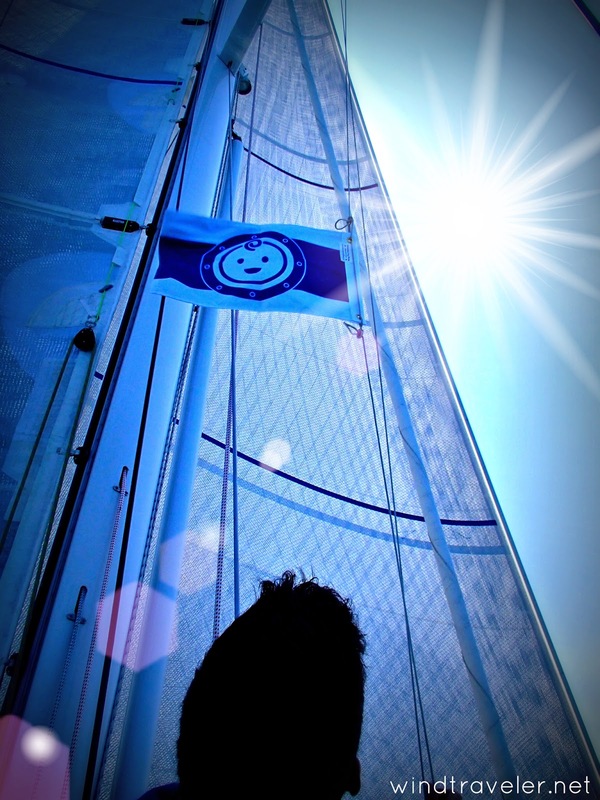 If you are looking for a cool and unique gift to give that special sailor you know, a custom boat flag that sports a logo, mantra, boat name or - heck - even a margarita glass, might just fit the bill. The coolest part? They want to give a flag away to one of you! 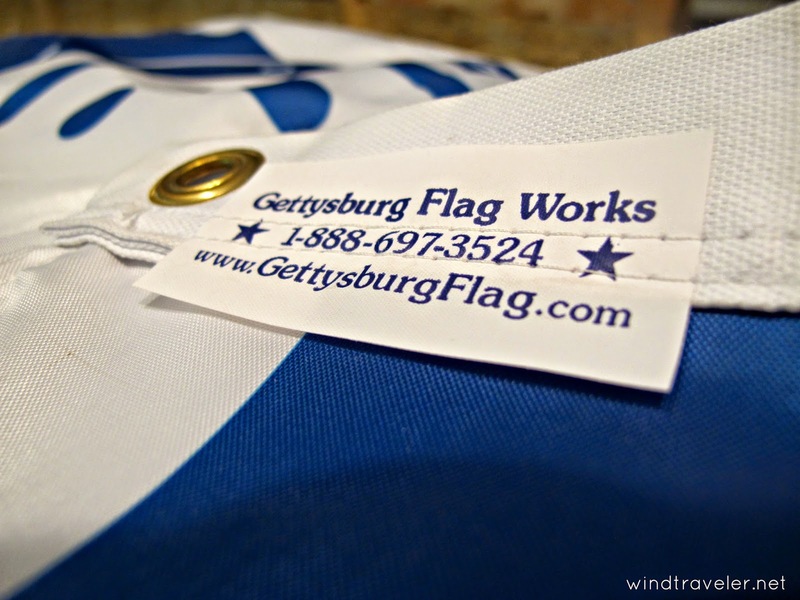 Gettysburg Flag Works will giveaway an existing flag OR a credit for $50 towards a custom flag to one lucky winner (sorry, only US addresses please). Post a comment on this blog post or on our Facebook Page explaining why you are deserving of a new boat flag, and what type of flag you would love to have (if it's custom, tell us your vision!). Make sure to leave your email address in the comment (in the abc(at)whatever.com format) so I can contact you if you win. I will chose a winner in the next week or so. Disclosure: I was given a flag at no cost. All opinions are my own. What a neat idea and a great looking flag at that! My hubby and I moved aboard a 36' Allied Princess in early August. We sailed from Halifax, NS and currently in Freeport, ME. We sold everything to experience this lifestyle together on a new rig we've never sailed before, a Chinese junk rig schooner (carpe diem!). She's a beaut with great bones. I'd love to surprise my husband with a MooreBetterWorld flag with our MooreBetter logo with a globe as the background. This imagery demonstrates the elements we are given when sailing and will be a daily reminder, as our blog suggests, "Living a Life Less Ordinary in a Moore Better Way". Besides our American flag, this would be our first boat flag! Our blog is titled "MooreBetterWorld.blogspot.com". We chose this lifestyle to experience a more simplified way of living with less consumerism, to regain faith in humanity by meeting new people, living with greater purpose, more contentment with less stuff, leaving space for experiences in its place. We're headed south too! Maybe we'll see Asante in the BVIs this winter! Cheers! Love the flag! Hope it helps you meet some new boat kids when you get to the BVIs! While a baby on board flag would be appropriate (18 mo/old and 3.5 yo), my Swedish husband would LOVE a new Swedish flag. Ours is frayed and tattered and doing no justice to the fatherland. Oh fantastic. I'd love to see a kidcraft flag, to help boats identify others with kids at a glance. Wow, your "baby on board" flag is awesome! My wife and I just had our 4th child (4th boy, no less! ), so I'd love the same flag if I happen to win! Hope all is well. This is Conor Smith, Allen Smith's son. Love your blog, it is great to see the adventures of another Brewer! I would love a custom marine science flag! I live in Miami and attend the Rosenstiel School of Marine and Atmospheric Science, part of University of Miami. I study physical oceanography and involved in marine conservation, such as plastic pollution and coral bleeching. I have always wanted to make a custom flag that boasts marine science and conservation as well as ongoing ocean research. 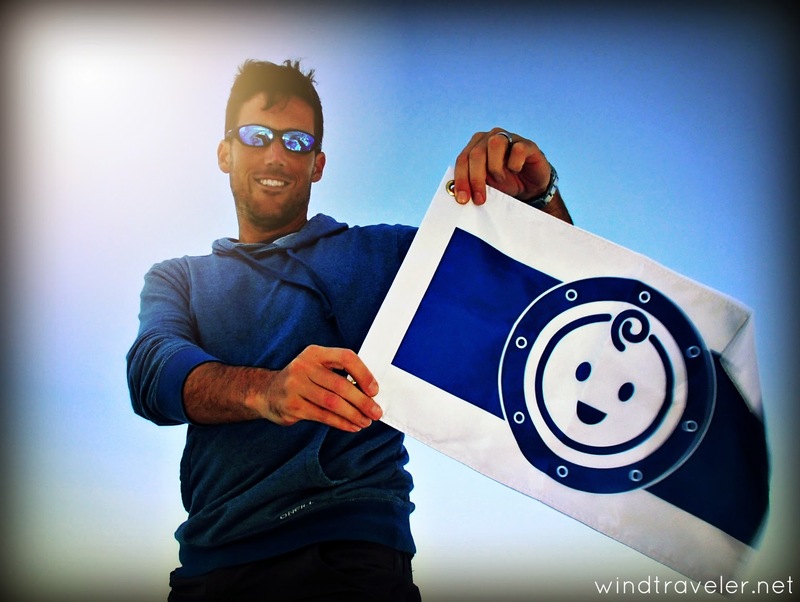 The flag would be worn from the research vessels we use, large and small, as well as aboard my liveaboard sailboat. The design would incorporate, among other elements, a earth to symbolize the global nature of science as well as other symbols of active research areas, such as icebergs, corals, micro-plastics, and geo-chemistry. Our flags are dealt with to dry speedy & face up to solar & chemical deterioration retaining the colors strong in opposition to ultraviolet rays in the brilliant sunshine. Flag donation the pink & white stripes make suitable evaluation with the blue history of the white embroidered stars, making the one of a kind shades pop from the fabric.